Of these, the Sharada Navaratri of the month of Puratashi and the Vasantha Navaratri of the Vasantha kala are very important. If you refer to the agni purana, then it is said that the Puratashi and Panguni (in Tamil months) i.e. Asvin and Chaitra are like the two jaws of Lord Yama. If one wants to escape the mouth of Yama, then one should celebrate Navaratri on these two occasions. A similar analogy is presented in the Devi Bhagavatam. Devi Bhagavatam also talks in detail on how one should observe fasts, and how one should meditate/work on these days. According to legend, Durga sat on the tip of a needle for nine days, doing a severe penance to destroy the evil Asura Mahisha. On the first three days, she meditated as Herself, the next three days as Mahalakshmi and the last three days as Sarasvati. This signifies progression from tamsik, to rajasik, to satvik and eventually obtaining liberation. The tenth day during Sharada Navaratri is called vijayadashami to signify the victory on the day of dashami. It is, however, a long tradition that one reads the Devi-Bhagavatam or the Devi Mahatmyam (Durga Saptasati, 700 verses on Durga) during this period. Devi Bhagavatam notes that Rama meditated and fasted for nine days after Sita was kidnapped by Ravana. There are numerous such incidents on how people's wishes were granted. The other two Navratri’s are known as Gupt Navratri meant for Sadhaks and performing special powerful tantrik rituals. Ashad Navaratri, also known as Gupta Navratri or Varahi Navaratri, is a 9-day festival dedicated to Goddess Varahi Devi. It is observed in Shukla Paksha of Ashad month. These are very auspicious days for the tantriks, sadhaks, for sadhana and also for any other specific tantrik pooja to resolve the materialistic problems. By keeping fasts, chanting shlokas and mantras, the devotees show their regard for the Goddess. It is believed that during Navratri, the Goddess promptly heeds to devotees and fulfill wishes. She is worshiped in the three forms of the divine femininity, as the remover of vices, as the bestower of wealth and prosperity and as the Goddess of wisdom. There are numerous rites and traditions observed during the Navaratris. Rituals that vary from region to region. 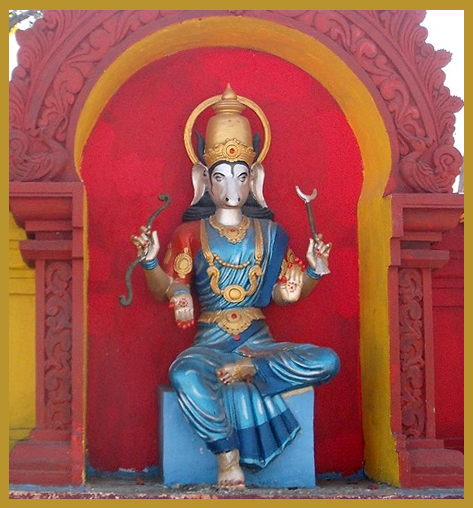 One of the most important of these is Chandi Homam. Varahi is one of the Matrikas, a group of Mother Goddesses in the Hindu religion. With the head of a sow, Varahi is the shakti (feminine energy, or sometimes, consort) of Varaha, the boar Avatar of the god Vishnu. Varahi is worshiped by all the three major schools of Hinduism: Shaktism (goddess worship); Shaivism (followers of the god Shiva); and Vaishnavism (devotion to Vishnu). She is usually worshiped at night, and according to secretive Vamamarga, Kaula marga Tantric practices. 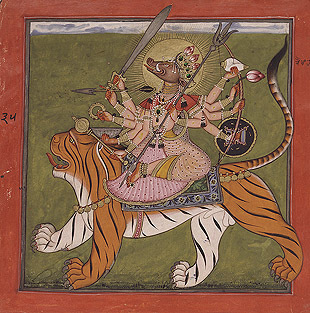 Varahi dandanayaka of Lalitha MahaRagni, she destroys bad and protects the good. 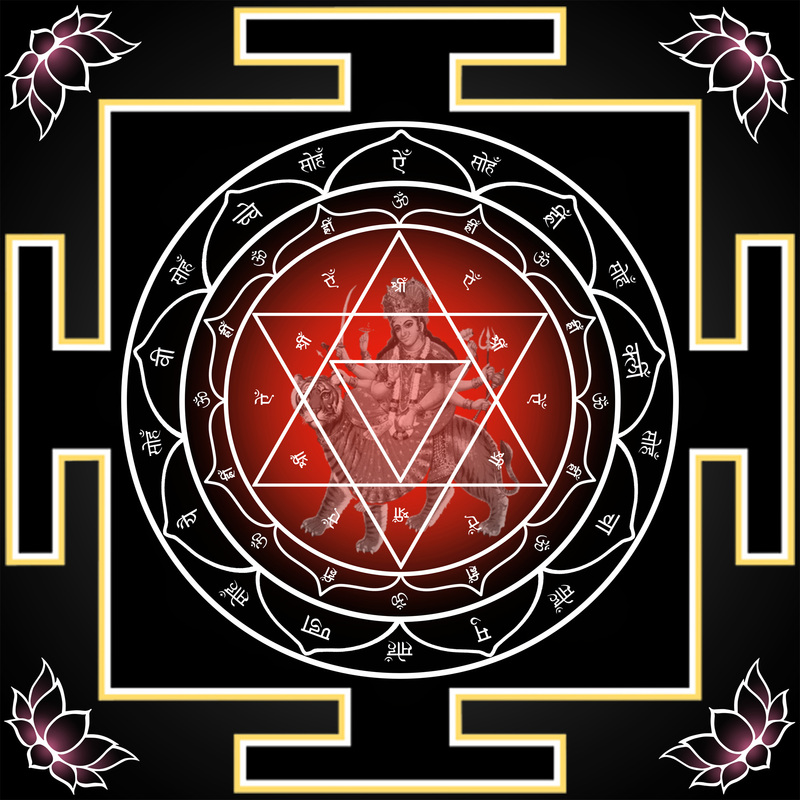 Varaha Kalpa ("Sveta varaha kalpey"): Varaha is a unit of time (large unit of time). Varahi is power of time resides in Ajña, rules the time. During the 4 Navaratris it is a great omen for the Sadhaka to feed and give offerings to the young virgins. The young girls must be at most nine and at the minimum two and must be aged between 2 and 10 years.